Webroom has to be one of the best free virtual classrooms for online synchronous teaching I’ve seen. It’s very easy to set up a class. Just type in your email address and name and the classroom launches. Once the class opens there’s a very easy to work through on-boarding task that ensures anyone entering the classroom has the correct browser (Chrome works best) , sufficient connectivity, and has set up their video and audio so you can be sure everyone can see each other. Once you are set up you can invite students by email or share the link to the classroom. 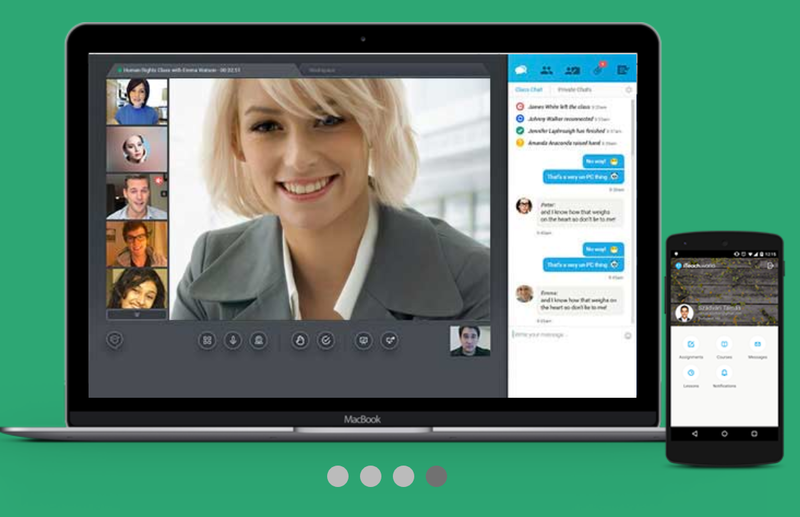 Webroom has a lot of really great easy to use features including really simple to set up breakout rooms for getting students into pairs or groups, screen sharing, an interactive whiteboard for sharing images and text, file sharing and best of all link sharing. As well as sharing links to websites, the link sharing feature allows you to share links to videos from the web and collaborate on Google Docs, Google Slides or Google Spreadsheets. This takes Webroom beyond the usual presentation and chat type class and enables teachers to do work on writing skills too. 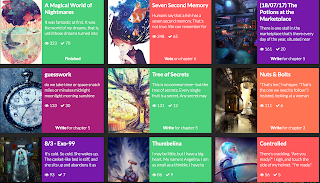 Webroom also has a number of features that can help students takes notes and remember their classes. When using the whiteboard students can download any screen they see and keep an image of it by simply clicking the download button and then at the end of the class students get an email summary that includes any of the links shared during the lesson as well as links to any files that were uploaded. You can use Webroom very simply by creating a new class session each time or you can register for free and log in to set up class schedules. If you find this type of class is effective for you and your students then it is well worth looking at: https://iteach.world/ This is the commercial version of Webroom and it enables you to set up online course and to start charging for them. 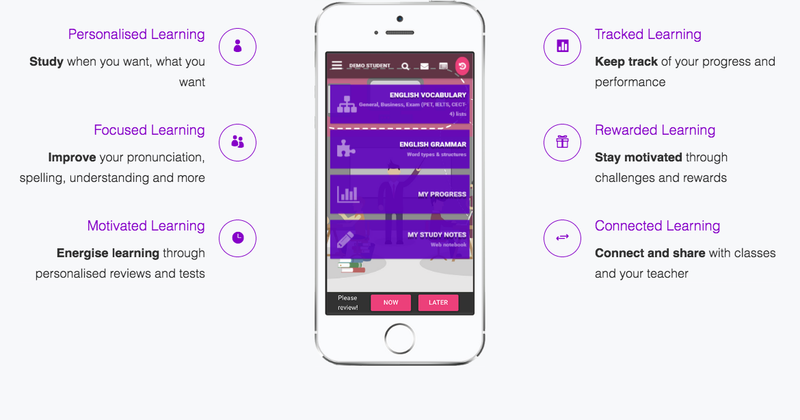 With this tool you can launch your own online school. 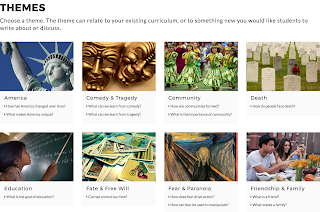 There is a free (forever) account that enables you to get started and build your courses, but you can only use this for one teacher and two students. Scaling up isn’t expensive though and the fees are a flat monthly rate, so this is a great way to open your own online school without too much risk. I hope you enjoy using Webroom and that it helps you to get your own online school launched. You can find 100 + more tools and resources like this in my ebook Digital Tools for Teachers - Second Edition or if you want to train other teachers to use these kinds of tools check out the Trainers’ Edition. It’s been gratifying over the last few months to see an increase in interest in the role of creativity in learning and particularly language learning, so I thought I’d share some of the work I’ve been doing with Alan Maley on behalf of the British Council and hope to encourage a few more teachers to get involved with the C Group. 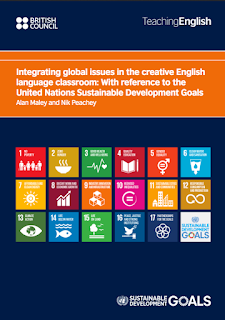 I was really glad to see the culmination of over a years’ work come to fruition with the publication of Integrating global issues in the creative English language classroom. 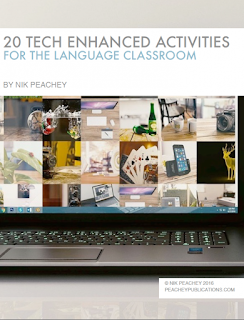 This is book is now available as a free download from the British Council site. 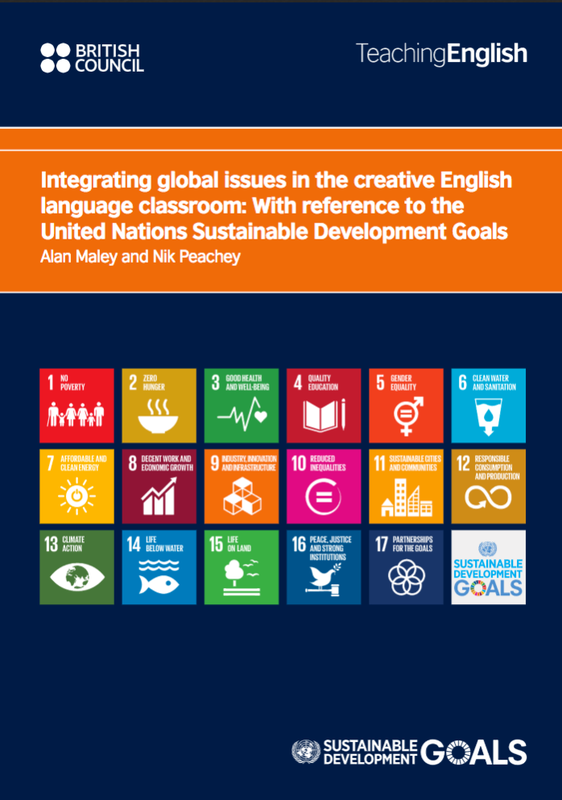 The book focuses on the development of a deeper understanding of the United Nations Sustainable Development Goals for 2030 and explores creative ways teachers can raise awareness of and promote these goals among our students. 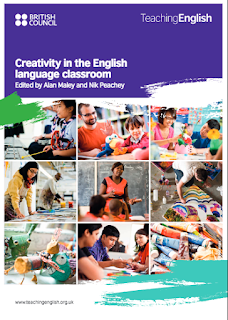 This is a book I co-edited with Alan and also wrote a chapter for and which I presented in a live webinar on October 5th for Teachers’ Day. The book was a follow on from our earlier volume Creativity in the English language classroom - also published for free by the British Council back in 2015. This is where the C Group comes in as the first book would probably never have existed if it hadn’t been for the work of Alan Maley in bringing together a group of teachers and authors all of whom shared a similar concern regarding an increasing orientation in teaching towards tests and certificates. The C Group first met in Harrogate in 2014 and it was out of that first meeting and with the support of the membership that we were able to put together a proposal for the book. Since then the C Group has grown considerably so it’s something that I would like to encourage more teachers to get involved with. If you are interested in finding out more about the C Group please visit their website or Facebook page. 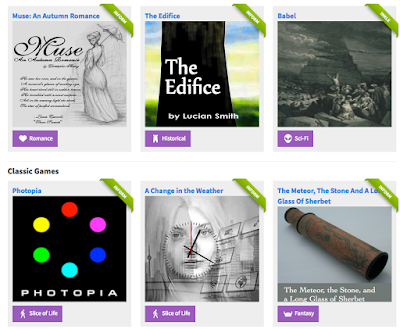 I hope you enjoy these books and they help to spark your own creativity. Wordiser is a great free tool for creating blended learning that works in the browser across a range of devices. 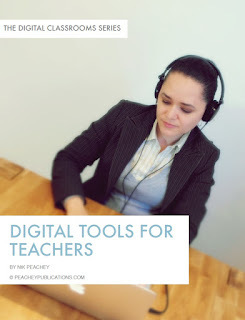 The tool enables you to create virtual classes and then track individual students as they work through a range of personalised learning activities. 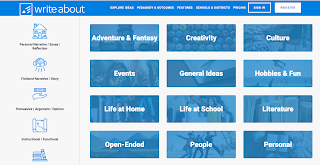 Apart from the wide range of ready made interactive or printable worksheets that you can assign to students, you can also create your own activities based around lists of vocabulary that come up during your classes. 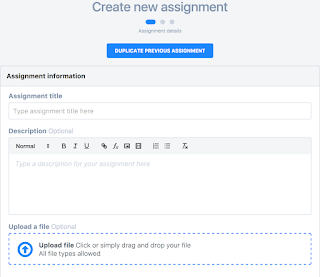 Wordiser also allows you to automate the revision process so that students get reminders and follow up worksheets and activities to do that ensure they remember more of what they have learnt. There's a really good range of activity types and media to integrate into lessons and you can even create your own digital worksheets based around your own texts or ones that you find online. Wordiser is quite a complex tool that enables you to do a wide range of complex tasks, so you need to be prepared to invest a little time into understanding it, but there are plenty of tutorials and support to help you along the way. Here's a short video that should help to give you some idea of the power of this free tool. 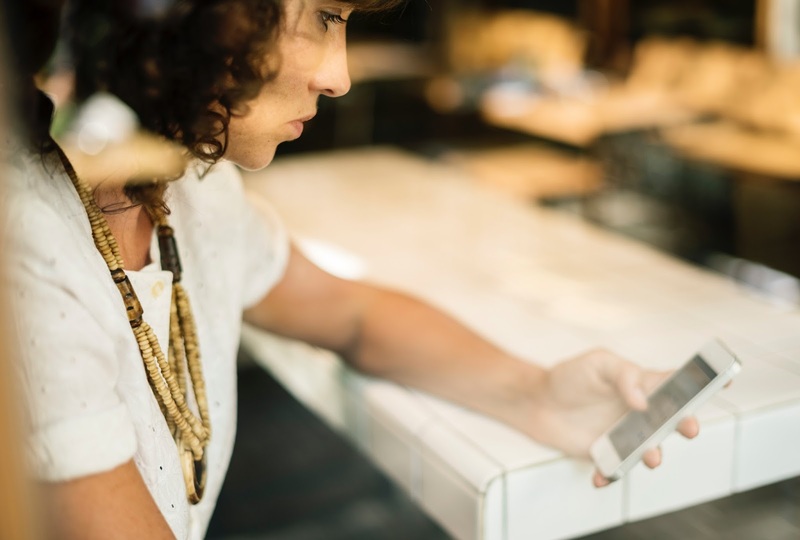 Getting students to peer evaluate can be a real organisational challenge in the classroom, but now it looks like there is a simple technological solution. 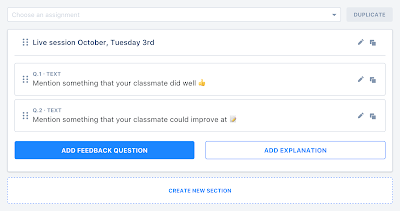 Peergrade is a great tool to get students assessing each others’ work and giving each other feedback. 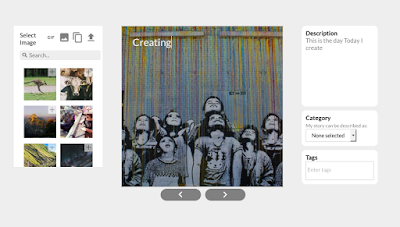 You can create classes and then assign digital assignments that can include a range of different media. 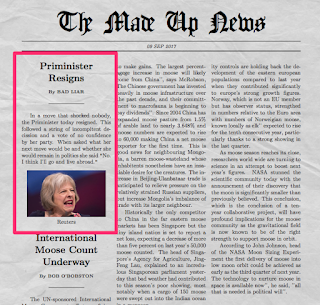 These assignments are then sent to students. The students then complete and submit their tasks online. Once they have submitted their assignment they then grade the assignments of their peers. You can decide on how many peer assignments they have to grade. After they have graded their peers they are able to find the feedback from their peers on their own work. As the teacher you can set up rubrics for the students to use when they grade each others' work. The platform also has a live session mode that enables you to do writing work in the live connected classroom. Peergrade looks like a really excellent tool to encourage a process approach to writing and to encourage students to think more deeply about how their work is evaluated and what they should be aiming to achieve. The basic account is free and unlimited. 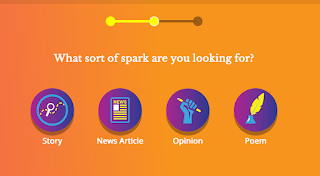 If you want to use this regularly and especially if you want to implement the use of it across your school then it's well worth checking of the other subscription models as it's very reasonably priced and helping to support apps like this is more likely to ensure they continue to develop.